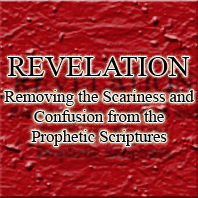 Revelation – Removing the Scariness and Confusion from the Prophetic Scriptures. I’ve tried to make Revelation as easy and straightforward as possible without making too many unreasonable conjectures and presenting the facts from within the Biblical texts. There is a little history that goes along with the Bible, but ultimately, we only need to know the general details so that Revelation, as well as the rest of the New Testament prophecies, becomes more illuminated and more easily understood. It would seem, whether intentional or not, we’ve been made to be afraid of the prophetic passages, thereby avoiding them as much as possible both in our congregational studies as well as during our personal ones. My hope is that the scariness and confusion can be removed and the amazing story God has revealed through the Bible can be more easily understood. Here’s a list of my posts. Feel free to skip around to any topics you may be having difficulty with. I’ve tried to keep the posts as direct as possible without going off on too many tangents. Understanding the Bible – A general summation of how I’ve come to know the Bible over the past years. The Temple’s Destruction – A major event that completely removed the Old Covenant infrastructure but is rarely considered or mentioned in reference to the Bible today. Soon – A general description of a major theme in the New Testament. So…What Happened? – A continuation of the above “Soon” post. The Day of the Lord – An overview of another concept seen throughout the Biblical prophecies. 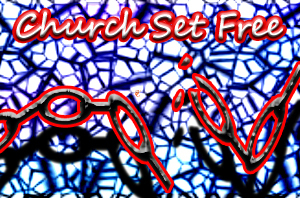 Prophecy Considerations and Summary of Current Thoughts – A summary of the above posts. Expanding the Prophecies – A brief explanation of what seems to be cycles of 7 within Revelation. 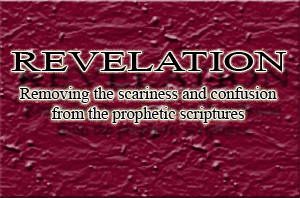 Revelation: Relevance, Audience, and Timing – An overview of Revelation. I will continue to update this post as I attempt to further untangle the mess that has been made of much of prophecy. Please note, these are my personal opinions through research, Bible study, and much prayer. I don’t expect anyone to agree and I realize many may be at a point in their spiritual walk where they aren’t allowed to even consider such “heresies.” However, I hope to show people, in my opinion, a more accurate view that helps explain all those troubling and confusing passages. I truly believe that God didn’t commission the Bible to confuse us. I believe we have allowed ourselves to be confused by attempting to retrofit prophetic scriptures that had a very direct and meaningful timing and audience.